How many of you received an iPhone or iPad for Christmas? Laurel and I are huge fans of both! Shockingly, Jason has accused me of cheating on him…..with my iPhone. He says I’m having an app-affair! I really do love my iPhone (is there even any other phone out there??) and my love for my iPad is almost equal! I love all of the apps that are available for Apple devices. Here are some of Laurel and my favorites. 1. 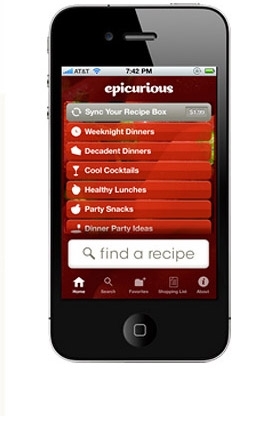 Epicurious – If you are looking for a recipe on the go, this is your app!! You can access shopping lists and we have found the comments and ratings to be very accurate. This app is available for iPhone and iPad and is free. 2. Magazines – I buy very few magazines any more as you can download so many of them for much less than the newstand price. Also, you can bookmark pages for future reference for many of them. People – it’s my guilty pleasure when I travel! 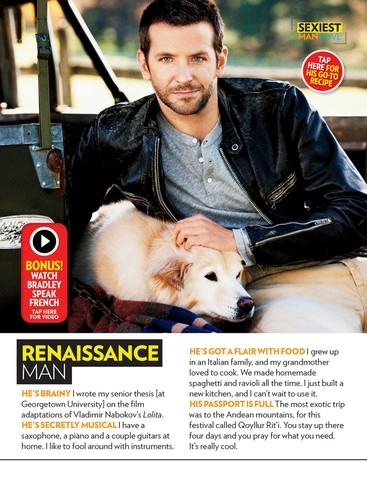 http://itunes.apple.com/ca/app/people-magazine/id384298160?mt=8 Each issue is $3.99 You can download trailers to movies and access picture archives and more. Nothing like getting your gossip interactively! 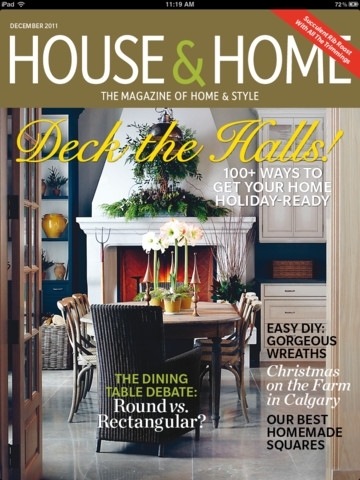 House and Home – Each issue is $3.99 or you can subscribe for a year for $19.99 (they will send you a notification when a new issue is available to be downloaded). I love that you can bookmark pages for future reference – this is so helpful for design jobs! 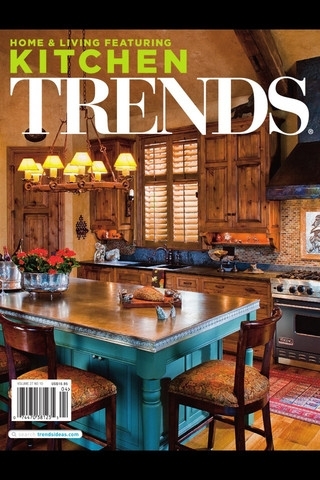 Trends – This is a fantastic interior design magazine that often costs around $12 in bookstores. Each issue online is $0.99 or you can get a 12 month subscription for $7.99 (10 issues). 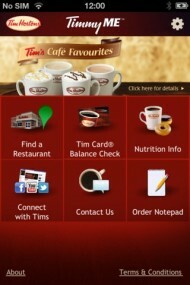 This app is designed for iPad and iPhone. The app itself costs $0.99. It’s well worth it if you are looking for interior design ideas! 3. 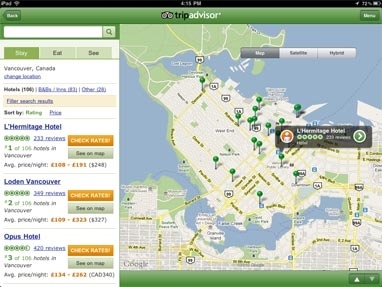 TripAdvisor – my pet peeve is being in a new place and having no idea where to eat, picking a place and having a marginal meal at best. 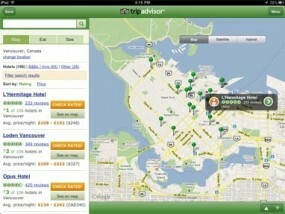 TripAdvisor to the rescue! 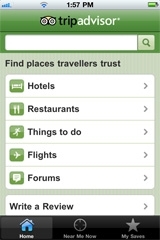 I can’t tell you how many times I’ve used this app to check out nearby restaurants. When I read the review on restaurants, I check for which specific dishes are recommended. On our recent trip to Huntingdon Beach, TripAdvisor rated Cucina Alessa as the #1 restaurant. We decided to check it out and, wow…we will be back!! The pasta was amazing! 4. Did you forget to set the PVR for your favorite show?? No worries…the CityTV Video app has many of your favorite shows and the app for iPhone and iPad is free! This is extremeley helpful as Canadians cannot watch episodes on US networks online. Of course, you can only watch the shows that are broadcast on CityTV, such as Modern Family, Community, Private Practice, Biggest Lower and more. Global and CTV also have apps. Starbucks – You can check the calorie counts of your favourite foods (or maybe you don’t want to….you’ll be shocked! 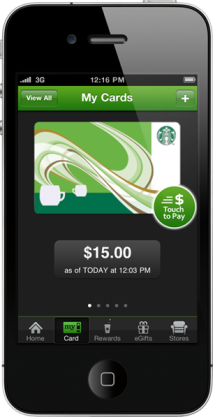 ), you can check the balance on your Starbucks card, reload it and even use your phone to pay with your card. You can also locate the closest Starbucks to you! Tim Hortons – an app very similar to the Starbucks one. 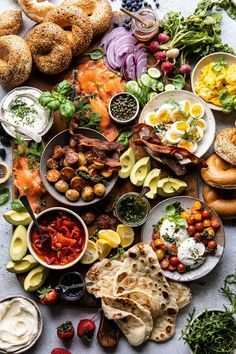 You can find a restaurant, check your balance on your card, looks up nutritional info and it even has an order pad if you are picking up for a bunch of friends! 6. You probably know that I’m an avid online shopper. The deals in the US are so much better, but a lot of US retailers either do not ship to Canada or the cost to ship to Canada is crazy!! What I don’t like is waiting on line at the border. 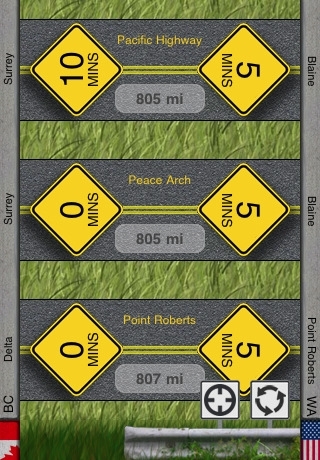 So, I use BorderWait – it lists all of the crossings into the US and shows wait times going in both directions. It does cost $0.99, but it can save you SO much time! 7. We live in a farm…a pepper farm. We grow red, orange and yellow bell peppers. Laurel’s hubby, Scott, had this game created. 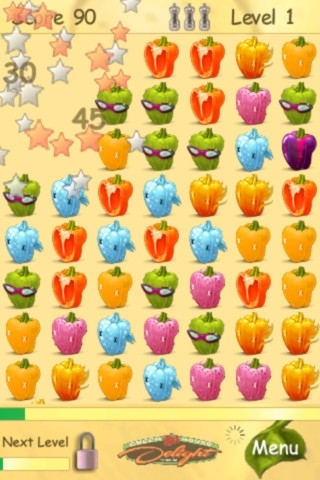 If you like Bejeweled, you’ll like the Peppers (Greenhouse Delight Edition) game. The app includes pepper recipes and nutritional information and its free. I love the shades on the green peppers! We also asked Scott and Jason what their favorite apps are….quite a different list from ours but we’ve heard that we have some male followers so we thought it would helpful for us to list them. Funny thing…I texted Scott to ask him what his favorite apps are. His response…pinwheels, Boursin cheese with red pepper jelly, meatballs….Dude I’m not asking about appies, I’m talking iPhone apps!! 5. Scott regularly checks the Oakley Surf Report, TMZ, Fox Sports, CNN and ScoreMobile (for the scores on all the latest sporting events). 6. Whatsapp – have your friends sign up on this for free texting with each other when you are on wifi. 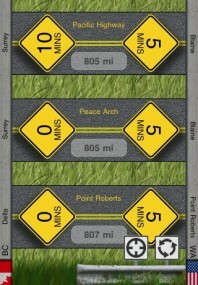 Costs $0.99 Whatsapp is available for iPhone, BlackBerry, Android and Nokia and you can message between all of these. 7. One of Jason’s favorites is TeamSnap – he manages Maguire’s, our 8 year old’s, hockey team. This can be used for many sports teams. It’s an excellent way to communicate with the team, update the schedule, track each player’s account and more. http://www.teamsnap.com/iphone.php The app is free and you can interface with a website you can setup on your computer.